If you’ve spent any time checking your email or surfing the internet while traveling in other countries, you probably noticed the internet was faster. When it comes to internet connection speeds, the United States doesn’t even crack the top twenty. This isn’t just a mild annoyance while you’re watching Netflix. It is a serious problem for productivity with long-term implications for economic performance and American competitiveness. Businesses, hospitals, and schools all rely on the internet. Slower speeds mean none of them are operating as efficiently as is possible. To add insult to injury, Americans pay more for less; internet access is more expensive in America than in many countries with faster speeds. There are two main reasons this is the case: the inferior physical infrastructure of America’s internet, and the oligarchy of internet service providers (ISPs) that control it. Though the internet can seem as though it is mystically transmitted all around us, like air, it is in fact made up of hardware. It is a physical network of cables and wires, pulsing with light produced by lasers in steel boxes. Even wireless data is sent and received by physical towers. The data of the internet travels in a very real and physical way from the large network cables that span the globe, to the smaller cables that take it from utility poles in your neighborhood to your home. In the U.S., the problems lie in these smaller cables, the ones that run directly to your home or business from utility poles. 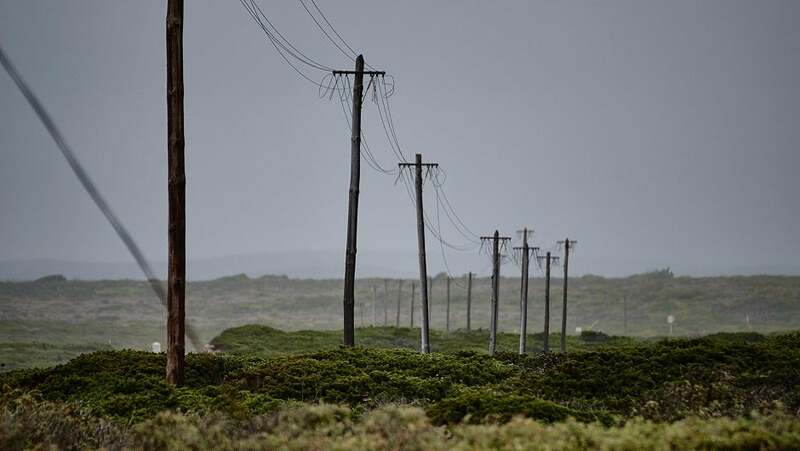 Gizmodo calls this line between your home and utility poles “The Decaying Last Mile” because it is rife with issues that slow down your internet. Most of the telecommunications infrastructure runs on the same copper cables invented by Alexander Graham Bell more than a century ago. These cables were designed for phone and video; they were not built to withstand the demands of streaming video or audio, and carry far less bandwidth than what the internet demands today. There is an alternative to copper cables: fiber optic cables. Fiber optic cables are cables of thin glass or plastic filaments that allow data to travel at the speed of light. They easily able to keep pace with bandwidth demands, and they are also easier to maintain and securer than copper. So if fiber optic cables are so great, why are copper cables used at all? Laying fiber optic cables is expensive. Really, really expensive, as in thousands of dollars per mile. And that is not the only cost to improving internet networks – companies need to also upgrade their hardware and hire more field technicians to make the internet run faster. Three companies control the internet infrastructure from your utility poles to your home. That’s it, and it has a huge impact on the speed of internet in the U.S. There is not enough competition for these companies to consider lowering their prices or upgrading their networks. Similarly, a small number of companies control the cables and networks that get data from the internet’s backbone to the small copper cables. AT&T and Verizon have a huge amount of control on these networks, which gives them a lot of bargaining power. Because American Internet Service providers (ISPs) don’t face enough competition, they can refuse to improve their service or lower their prices. People need the internet; they won’t opt out of receiving even poor, expensive service. There is some good news amidst the gloom: customers who believe they have a slow connection speed, have billing concerns, or think their ISP is violating net neutrality rules can complain to the FCC. So while you may not be able to get your ISP to lay down fiber optic cable as quickly as you would like, the FCC will look into other internet complaints you have. All it takes is filling in a quick form on the FCC’s website. More excitingly, Google has launched Google Fiber, which offers gigabit internet more than 10 times as fast as most internet connections in the U.S. First offered in Kansas City, and now in Austin, Texas, and Provo, Utah, Google has targeted nine other metro areas for the service and are looking at other potential cities. Furthermore, there is an increasing movement for individual cities to build their own fiber networks and offer faster internet to their residents and businesses. As one example, Santa Monica has Santa Monica City Net, which offers 100 Gigabit broadband. Demand from citizens and businesses may make more municipalities take similar steps to offer faster internet than is available from the traditional ISPs. Perhaps as more cities and companies such as Google introduce high-speed, fiber optic internet, the big telecom companies will begin to feel the squeeze of competition and lower their prices and improve their service.